Mobile tariffs are likely to go up after the airwave auction due in Feb 2015 as the industry is reeling under debt, telecom industry body Cellular Operators’ Association of India (COAI) said here. “The debt burden in the sector is huge. It is already around Rs. 250,000 crore and a part of it accrued after the last spectrum auction in Feb 2014. 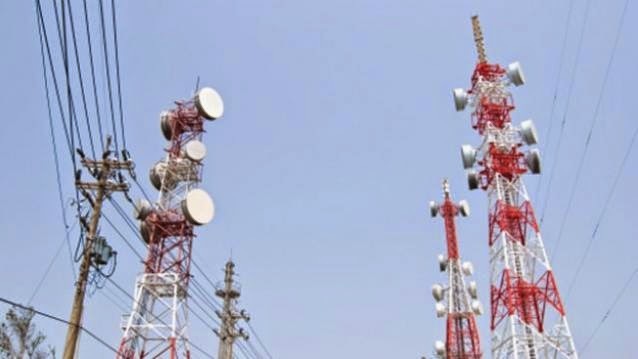 If the airwaves are sold in the upcoming auction in Feb 2015 at the reserve price mentioned by the Telecom Regulatory Authority of India (TRAI), then there will be additional debt burden of Rs.40,000-50,000 crore on the telecom sector,” Rajan S. Mathews, director general, COAI told IANS. “This cost will have to be borne by the consumers finally,” he added. The TRAI Oct 15 recommended around 10 percent hike in the reserve price for 1800 MHz band spectrum auction over the last winning price in the February 2014 sale. “In the 900 MHz band, only the spectrum held by them is available for the auction. These licensees will have to win back this spectrum to ensure business continuity in a licence service area (LSA); if they don’t, it places the large investment made in the LSAs in jeopardy,” the TRAI said earlier. It has set a reserve price of Rs.3,004 crore per mega hertz for bandwidth to be auctioned in 18 service areas for the more efficient 900 Mhz band and Rs.2,138 crore per mega hertz for the 1800 Mhz band. In the 1800 MHz band, 20 circles are going for auction, while in the 900 Mhz band, 18 circles will be up for sale. The revenue target set by the government in 2014-15 Budget from spectrum auction is Rs.45,471 crore. In 2013-14, the auction generated Rs.40,847 crore. In Feb 2014, in a 10-day auction of 900 MHz and 1800 MHz, the government mopped up Rs.61,162 crore.